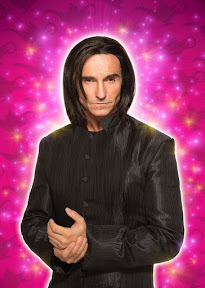 MARTI Pellow has put all the rumours behind him to confirm they he will join the cast of Aladdin at The SECC Clyde Auditorium. The Wet Wet Wet star will be cackling away as he leads the cast in the role of the evil sorcerer Abanazar. Glasgow's biggest Christmas show, which runs for three weeks from Saturday 10 to Saturday December 31 will see Marti joined by Glasgow panto favourite Johnny Mac as Wishee Washee. As well as achieving some of the UK’s biggest number-one singles, Marti has regularly featured in the UK charts throughout his career, both as a solo artist and as the frontman to Wet Wet Wet. The BRIT and Ivor Novello award-winning artist has released over twenty studio albums, has enjoyed over 25 hit singles and continues to sell out concert and arena tours across the UK. He has also starred in numerous high-profile theatre productions in the West End and on Broadway, including Chicago, Blood Brothers and recently the sold-out, award-winning musical Evita for which he was nominated for Best Actor at the What’s On Stage Awards. Last Christmas Marti made his pantomime debut for Qdos Entertainment in the record-breaking Birmingham Hippodrome production of Aladdin. Tickets are on sale now priced £18.00 - £32.50 and are available from www.secc.co.uk or 0844 395 4000.